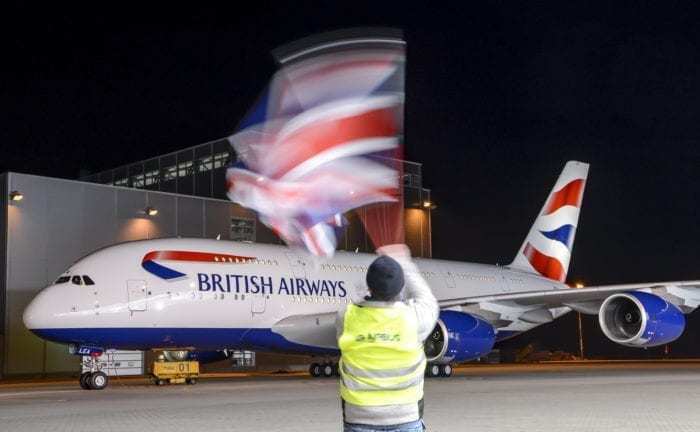 IAG Chairman Willie Walsh told the press today that British Airways would purchase more A380s if the price is right. Speaking in London, the former Chairman of British Airways said that he was “very happy” with the A380s so far. British Airways currently has a fleet of 12 A380 aircraft. Registered G-XLEA through G-XLEL. While the airline’s youngest A380 is just under three years old, the oldest is coming up on 6 years old. The carrier primarily uses the aircraft on high capacity long haul routes where the frequency of flights is not a key factor, like London to Los Angeles. 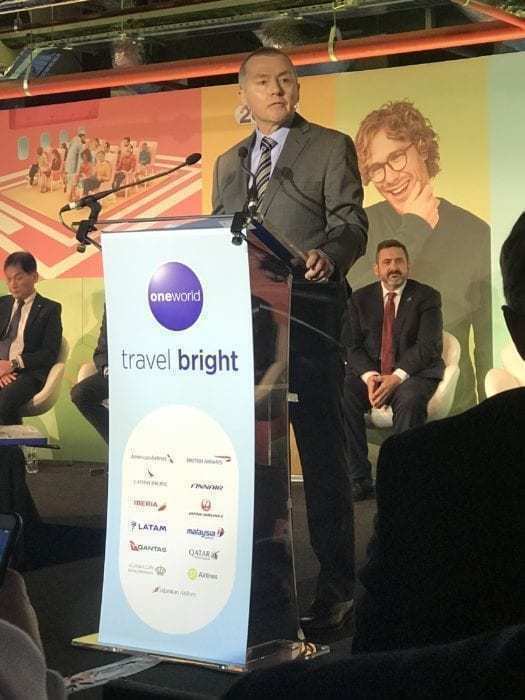 Earlier today, IAG Chairman Willie Walsh said that the carrier was “very happy” with the aircraft. British Airways has a varied portfolio of Airbus aircraft, with the latest addition set to be the A350. While BA is certainly interested in the A380, it is not currently priced correctly for the airline. Speaking about pricing, Mr Walsh told: “I’ve always been clear about the A380. It works extremely well for us, we’re very pleased with it. But the pricing on that aircraft has not been as effective as we believe it needs to be to encourage us.” If British Airways was to purchase the aircraft, it is clear that Airbus would need to significantly drop the costs. It becomes a question of whether Airbus would be willing to drop the price on an aircraft that has yet to make the manufacturer money. 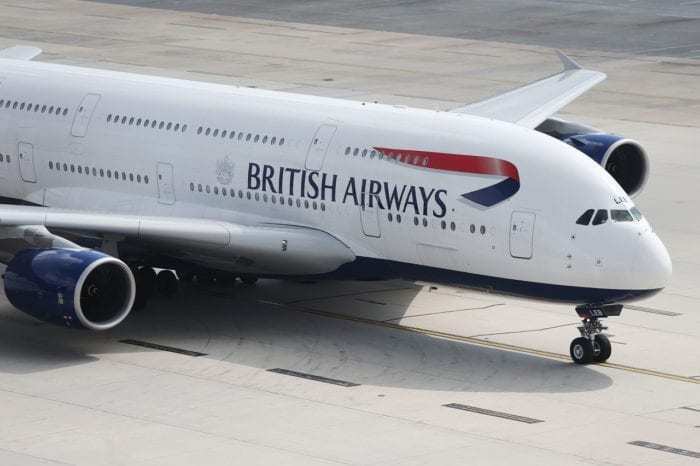 Do you think British Airways should purchase more A380s? Will Airbus drop to their price demands? Let us know your thoughts in the comments down below! British Airways could get some discounted A380s second hand. For example, Malaysia Airlines would very likely be glad to get rid of their fleet of six A380s. Wonder if British Airways has ever approach the airline? In any case, both are members of OneWorld, so they are supposed to be talking to each other more than with other non-OneWorld airlines, aren’t they? Dr. Peters Group for sure approached BA. Undoubtedly other leasors approached BA and every airline they could to peddle their 2nd hand A380s when the leases expired. BA has made similar noises over the years and must have been approached many, many times. Two of the Dr. Peters A380s are being parted right now so we know BA hasn’t offered a dollar more than scrap value. (+/- another made up number). If the actual value of a scrapped A380 fails to meet Dr. Peter Group’s expectations, then a sale to BA might be happen. If Airbus wants to ensure the life of the A380, they need to be making the investment to airport infrastructure on behalf of the airlines and airports. There are not enough A380 stands globally and no reason for any airport or airline to make the investment at this stage in the program. Then Airbus needs to increase efficiency by 5-15% (probably a new engine, but there are lots of places for the A380 to get aero improvements). Then the buyers will find value in the A380 again. Short of that, the program is headed to a very rapid conclusion. Ex-MAS or SIA A380’s would probably make sense for BA as they have Roll-Royce engines. Air France is reportedly getting rid of some of their leased A380’s, these have Engine Alliance engines, so would not be a good fit for the BA fleet. I don’t understand this comment. According to someone I know who works for BA they’re struggling to make the 12 they’ve already got run at a profit. This sounds like a bit of ‘mine is bigger than yours’ BS from Willie. Hmm… Sounds like voodoo economics, why would Airbus drop the price of an aircraft that they have never made a profit on or even broken even…. BA examined the idea of buying some of the ex-SIA A380s but we’re out off by the cabin conversion costs, which were estimated to be $25-30 million per aircraft. They also thought about buying the Malaysian ones but MH wanted too much money for them. This is why they’re angling for new machines. BA is a very astute company. You can bet they’ll have done their sums and know exactly what they need to pay in order to get a deal. This option makes sense. The Airbus A380 is by far the best aircraft I have flown on long haul. Speaking of recent trips which involved over 17 hours from Aukland to Dubai, London to Bangkok via Dubai and London to Burma, I must say it is far more comfortable (business class) than rival Boeing 777 300 ER which is relatively noisy and cramped. Its also so pleasant being able to walk to the back of the aircraft and socialise in the bar area. It really is a super ‘plane. Please Mr Walsh, buy some more.